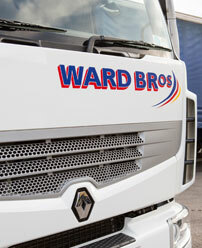 Welcome to Ward Bros Ltd. We are well-established as one of the leading haulage firms in Middlesbrough, and have developed an enviable reputation for the quality and professionalism of our services. Since 1986, we have grown to become the foremost provider of a comprehensive range of haulage services to clients throughout the local area, so if you are looking for a haulage company in the North or North East, Ward Bros is the name you can trust. Our reputation has been built on maintaining a reliable, flexible operation and providing our customers with service which is second to none. As a family company, service, integrity and pride are at the heart of our business, and we work hard to ensure that the solutions we offer always exceed our clients' expectations. 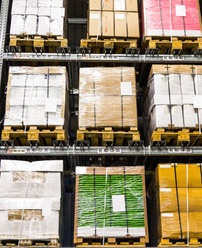 With a modern fleet of vehicles and warehouse facilities which enable us to offer the highest standard of service, we can consistently meet the needs of each individual customer. 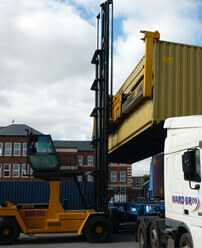 Whether you want to take advantage of our delivery and collection service, require container storage, or have a different requirement for haulage in Newcastle, Middlesbrough and beyond, we can offer a solution. 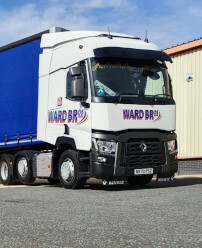 We have built our experience through working with a range of Blue Chip companies who trust Ward Bros Ltd to always deliver on time and for a highly competitive rate, and who know that our bespoke haulage solutions are the best available in Middlesbrough, Newcastle and across the North East. No matter what your business needs, we believe that we can help. Get in touch today on 01642 430 150 or complete our online contact form to begin your enquiry now.